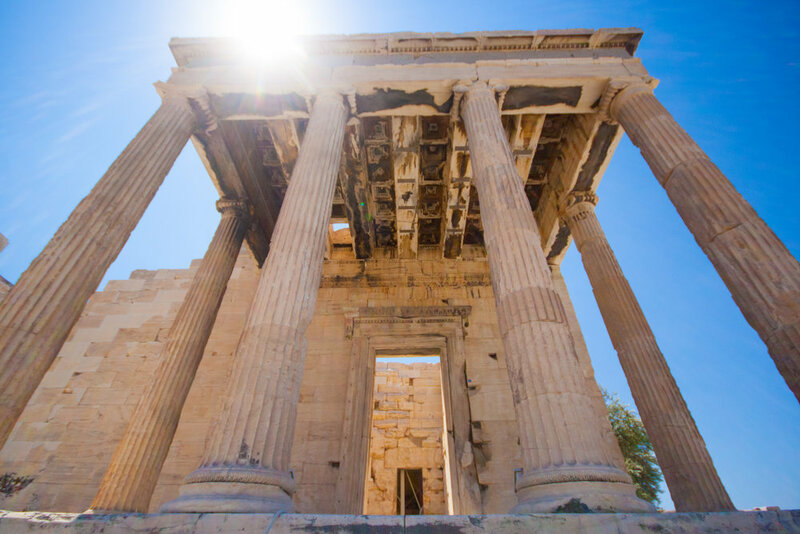 When we started planning the itinerary for our trip to Greece, we knew our time in Athens would be pretty limited. Since we only had one full day to do sightseeing, we wanted to stay somewhere within walking distance of the Acropolis. After some research, I came across the Athens Gate Hotel on TripAdvisor and it had everything I was looking for -- great reviews, it was affordable and was located in the heart of the historic district, only a 10 minute walk to the Acropolis. Our room had a beautiful view of the Temple of Olympian Zeus.